Shaked was interviewed by Israeli media, during which she forwarded her message to Israeli Prime Minister Benjamin Netanyahu. 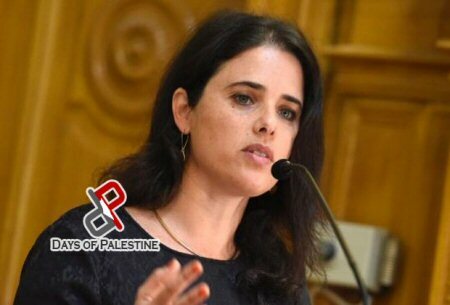 The extremist minister also asked Netanyahu to pass this message to the US President Donald Trump, during his scheduled visit to the region on May 22. The woman, who has been known for her scathing remarks regarding Palestinians, continued: “There is an opportunity when a president such as Trump, who is willing to take courageous steps, to think outside the box and advance a large economic agreement with the more moderate Arab countries, and with the Palestinians. Documentary filmmaker Lia Tarachansky explains that the income garnishing measure targets African refugees and is intended to discourage asylum in Israel. SHIR HEVER: Welcome to the Real News Network. From the beginning of this month a new policy’s implemented in Israel. African asylum seekers who work in Israel have part of their wage income garnished by the state and placed into an account to which they have no access. According to a law which was legislated in 2014 and only now implemented, 20 percent of the wage of asylum seekers will be deposited into a special bank account. In addition their employers will be required to deposit 16 percent of the wage which would normally be allotted to the worker’s pension and to the future of severance compensation into that same account. And the asylum seekers would theoretically gain access to the money saved, only upon leaving the country. Israeli bank, Mizrahi Tefahot, has won the tender to manage these accounts, and has already informed its’ investors that the policy would improve its liquidity and reserve ratio, because the money will not be accessible to its owners, and the bank can use it to offset loans. So we are joined now to speak about this with Lia Tarachansky. Lia Tarachansky is an Israeli Russian Canadian journalist and documentary filmmaker. She reported for the Real News Network on Israel and the Palestinian territories. She’s made five films already, and one of them Ethnocracy: Israel’s African refugees, is specifically about the topic that we want to discuss right now, so thank you very much Lia for joining us. LIA TARACHANSKY: Thanks for having me, Shir. SHIR HEVER: And let’s talk a little but about the history of this situation, because Israel was responsible for expelling hundreds of thousands of Palestinians, creating the longest lasting refugee population in the world since 1948. But no longer the largest refugee population. Does this have an effect of how African refugees are seen and treated within Israeli society? LIA TARACHANSKY: So the mechanisms that the state of Israel is using to essentially expel, imprison, and minimize the number of African refugees in its attempt to be the first developed nation with zero refugees, are the same mechanisms that the state of Israel and pre state used against the Palestinian refugees. For example, the anti infiltration law, closing the borders, and mass expulsions. Including a whole matrix of administrative and bureaucratic manipulations in order to basically withdraw status from people. So those same processes that the state of Israel uses against the Palestinian refugees, are used against the African refugees. However, the African refugees don’t have any history of conflict, neither with Israel nor with the Jews. And so when they first arrived in 2006, they were actually welcomed and treated well by Israeli soldiers that were greeting them at the border, and then by the Israeli public. But when the government of Netanyahu decided to take a 90 degree turn on that treatment of the African refugees, what resulted was a full out war against them. Even though they don’t have a history of conflict with either Israel or the Jewish people. What’s amazing is that because, or rather despite the fact that these people are escaping genocidal regimes that are actually at conflict with the state of Israel, and it would be a phenomenal propaganda tool for Israel to treat these people humanely, instead what the government does is incite against them, dehumanize them, an essentially treat them and scapegoat them as if they are the core of the problem. So for example, in the city of London alone, there are 250,000 asylum seekers, refugees, and other claimings. In the entire state of Israel , there are 40,000. They are less than .001% of the population, and yet they are constantly being talked about as though they are threatening Israel’s Jewish majority. A demographic threat, which is something that the state of Israel uses frequently against the Palestinian minorities in Israel. So what’s amazing here is that we’re seeing that even a population that is innocent of any of the kinds of things that the state Israel accuses its enemies of, is still being treated as an enemy, simply because they are not Jewish. And the product of all of this is because of course, Israel is an ethnocratic state, which means that only Jewish people can become citizens. Which means that there is no mechanism whatsoever for anyone to actually be in Israel long term, unless they are Jewish. SHIR HEVER: I want to get back to the point that you focus on. Policy of the Israeli government, that there is some tension also between the Israeli government and the Israeli public on this issue. Or maybe not tension, but some divergence of opinion. Because originally, and we’ve covered this in the Real News, the Israeli government, the giant prisons, to keep all the asylum seekers incarcerated without a trial, and this policy was found illegal by the Israeli high court. Now many asylum seekers are still in prison, but this new policy of garnishing wages, do you see this as a response by the Israeli government or by the Israeli parliament to the decision of the high court? LIA TARACHANSKY: I don’t think those two things are related because the cabinet and the government of Benjamin Netanyahu has proven not once, and not twice, that they are simply willing to ignore the rulings of the Supreme Court, where those rulings do not serve their interests. They don’t need to prove anything. They don’t need to actually counter the court in any way. They’re simply not implementing it, and there’s a silent consensus about that on the entire spectrum of the Israeli Zionist political leadership. Even so called centrist politicians like Tzipi Livni and Yair Lapid and Yitzhak Herzog are all respecting the status quo of essentially ignoring the ruling of the supreme court. But if you’re trying to understand where this latest attack on African refugees fits, what you need to do is look at it from the perceptive of the five part plan that the government of Netanyahu actually implemented. 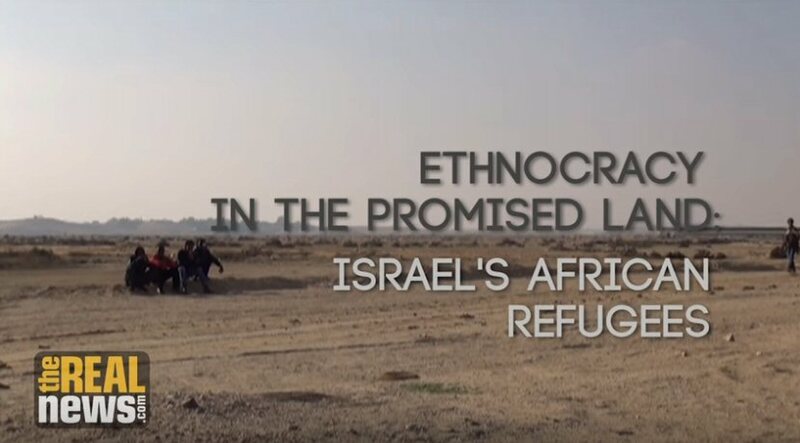 And this is the plan that we cover in the film that I co directed with Canadian filmmaker, Jesse Freeston, called Ethnocracy: Israel’s African refugees. So if we’re looking at it as step by step by step, the first step that actually took place was that the Government basically said, “These people have no status.” And so, when they were first were coming in, what a lot of African refugees did, is they would go to the UNHCR, the UN body responsible for refugees. What the government did in its very early attacks, is it basically gutted the UNHCR of the ability to decide who is and is not a refugee. And the UNHCR office in Tel-Aviv basically just became a shell. A meaningless rubber stamp that had no power whatsoever. So the Ministry of Interior basically gutted that ability and the used that ability to basically say, “Well we don’t know who’s a refugee, because, nobody’s checking who’s a refugee and who is not a refugee. Therefore these people are not refugees.” So that was the first attack. The second attack is that they used that designation as essentially not knowing and not wanting to know and eliminating the processes of getting to know, who is a refugee, to then mass deport anyone who is from a country that the government decided is deportable. And under this policy we saw the Ivory Coast refugees deported. Some of them in the middle of the night by riot police. We’ve seen the south Sudanese refugees reported. Of them, more than half have … We can’t track them down. There’s been dozens and dozens of people that have been reported killed as a result of this policy. A direct product of Israel’s attack on the African refugees. And basically, over the years, since 2011, when a few right wing politicians saw that they can use xenophobia to basically ride a wave of racism to the front of the parliament from the back benches, which is where they were, we’ve seen this huge change. And in that change we have seen all of the African refugees that are basically not from Eritrea and Sudan deported with a few individuals as exceptions. Then the next step was that the government of Netanyahu built a 240 kilometer wall along the border with Egypt for the first time in human history, cutting off Asia from Africa. And this wall essentially reduced to number of African refugees entering Israel to zero. And so, the last step of the program essentially has been to pressure those people that are in that jail and everyone else who hasn’t yet been put in jail into self deporting. So this is the most important part of the 5 part plan. Which is essentially, the government of Israel knows that if they deport Eritrean or Sudanese refugees, which are refugees that come from countries that the level of refugee recognition worldwide for them is about 80% and up. If they deport people to these regimes, Eritrea being a dictatorship, and Sudan being essentially run by a war criminal genocidal maniac. If they deport these African refugees to these countries, they would significantly lose the support of the international community because they would be seen as clearly non-humanitarian move. So instead what they do is that the government of Israel basically came to an arms agreement with a number of three African states on a number of arms agreements. Basically saying that those states are gong to take Israel’s unwanted African refugees, in exchange for discounts of arms being sold to them by the state of Israel. And, now, they’re trying to shuffle the African refugees to self deport to one of these three countries. And the latest attempt in the pressure which the UNHCR actually said is in complete violation of international law, is to push these African refugees to self deport because of also basically stealing 20% of their salaries. Now as you yourself reported Shir, when you were talking about the Histadrut basically theft of the taxes of Palestinian laborers, I have every little faith that the African refugees are ever going to see that money again. LIA TARACHANSKY: Yeah, so the African refugees, like the Palestinian laborers, paid taxes to the state of Israel while they receive absolutely no services whatsoever from the state of Israel. They don’t get shelter, they don’t get basic food supplies, they don’t get healthcare. Zero, nothing. So on top of paying taxes to a government that does not provide them with any services, they are now going to have these wages taken. And as far as I know, and I’m of course not a refugee expert, no other country does that. Now you have to understand that Israel actually promotes itself to Europe, which is currently seen as in a crisis of migration, as the frontier of effective policies on how to basically prevent migrants from coming into your borders. So Israel is using this as yet another tool in its marketing campaign that its trying to convince other western nations, other developed nations, to adopt in their attack on globalized migration. LIA TARACHANSKY: Thanks for having me, and I would like your audience to know that if they’d like to watch Ethonocracy, its available for free on Vimeo, and they can also find it on narrativeproducions.com. SHIR HEVER: Right. I think its very worth while watching this film, and thank you very much for joining the Real News Network. The Knesset approved initially on Wednesday the so-called nationality law or the Jewish state law proposed by right-wing MK Avi Dichter, from Likud party. 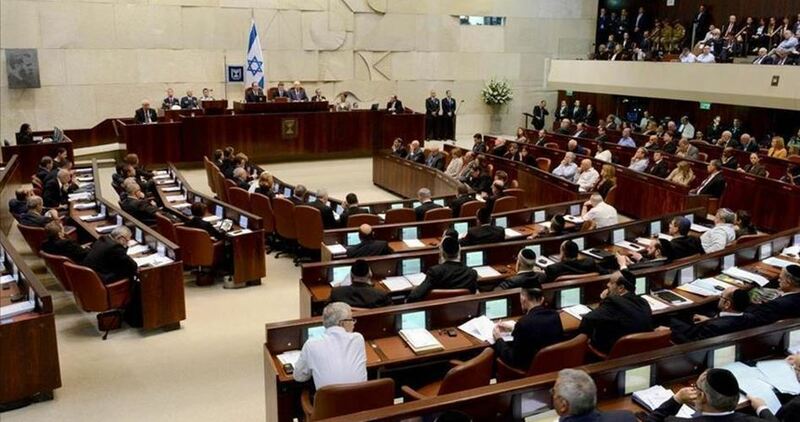 The law passed its initial reading by a majority of 48 to 41 and will be transferred to the Knesset constitution and law committee to be drafted for vote in its first reading. The law legislates Israel's status as the national home of the Jewish people, emphasizes that Hebrew is the official language of the state and states that (Occupied) Jerusalem is the capital of Israel. During a heated Knesset session, Knesset members from the Joint Arab List were removed from the plenum. MK Jamal Zahalka angrily tore up the law and was removed from the plenum after calling Dichter a "fascist and racist." The website of Hebrew TV Channel Two published on Tuesday a video that contains a simulation showing Israeli officers shooting and killing a Palestinian who was described as a “terrorist”. According to the website, the simulation took place during an annual event organized by the Ministry of Education in the presence of hundreds of elementary school students. The website said that some parents of the students expressed their shock at the use of violence and incitement to kill a human being even if he was a Palestinian, as they put it. This blatant incitement to kill Palestinians comes alongside Israeli claims that the Palestinian Ministry of Education teaches curriculum that incites violence against Israel. This video, along with many similar methods used before, indicates the danger of the Israeli incitement against Palestinians which was displayed many times by Israeli soldiers executing Palestinian children for allegedly planning attacks, which were mostly not verified by any other source. 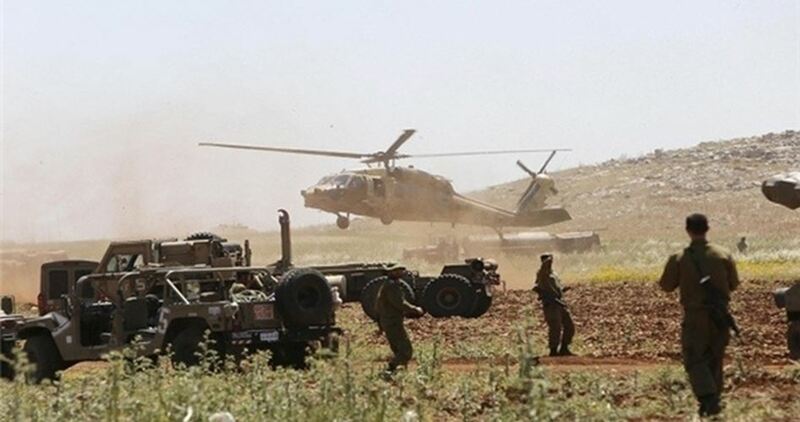 The Israeli air force will conduct joint drills next week with its US counterpart, according to Hebrew media on Friday. The Hebrew newspaper Haaretz said that the US sent a number of F-15 fighter jets to Israel to participate in the joint drills. Haaretz reported that the drills include joint exercises by US and Israeli pilots on how to counter hostile aircraft. The paper pointed out that the Israeli air force has recently participated in joint exercises with air forces from Greece in addition to taking part in the Red Flag maneuvers with air forces from the US and the United Arab Emirates in which pilots from Pakistan and Spain participated. Joint air force exercises will be held in Israel in November 2017 in which pilots from several foreign countries including India, US, Poland and Italy will participate, according to the paper. Two years ago, the Israeli air force signed a strategic cooperation agreement with its US counterpart to promote joint activities between the two armies. 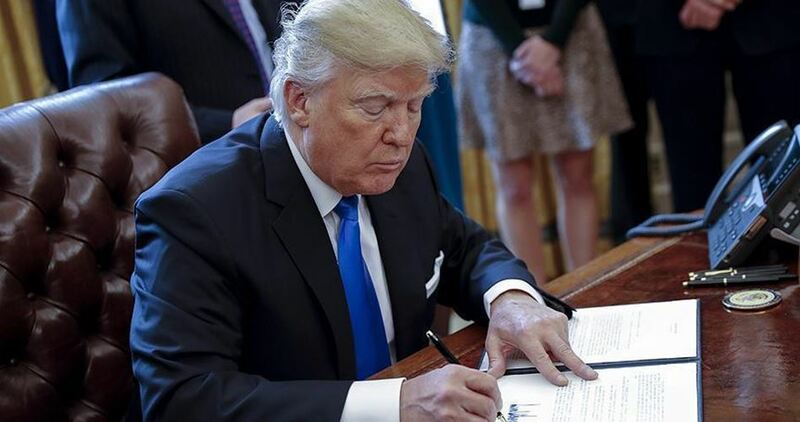 US president Donald Trump will soon reverse a longstanding US policy by officially recognizing the entire city of Jerusalem as the capital of Israel, according to Yedioth Ahronoth newspaper on Thursday. However, he will not implement his election campaign pledge to relocate the American embassy from Tel Aviv to Jerusalem during his upcoming visit in late May, the newspaper added. He is also expected to express support for the establishment of a Palestinian state alongside Israel, the paper noted. Under a previous US policy, the city of Jerusalem was not recognized as the capital of Israel, as all former administrations did not recognize any party as sovereign in any part of Jerusalem. In a related context, Trump will be hosting Palestinian Authority chief Abbas at the White House next week. 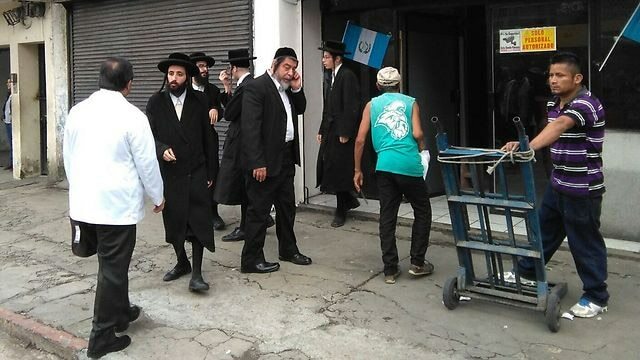 An Israeli family court judge rules that Lev Tahor, currently located in the Guatemalan jungle, is a cult with children who are at-risk, including for being married as young as 15 to partners 20 years their elder. An Israel court ruled Tuesday that the extremist ultra-Orthodox community Lev Tahor ("A Pure Heart"), which lives in a jungle in Guatemala and has many Israeli members, is a cult. "It is sufficient for my ruling to consider the conduct of the community towards its children, in order to determine that this is an abusive cult that severely harms the bodies and souls of the children of the community," wrote Judge Rivka Makayes, vice president of the Family Court contained within the Central District Magistrate's Court. Makayes ruled in the petition filed by the attorney general and relatives of minors who are in the cult. The judge further wrote, "The evidence presented to me, both in direct testimony and in indirect testimony, led me to the conclusion that the Lev Tahor community treats the children of the community, inter alia, with severe physical punishment, with underage marriage (from the age of 14 for boys and 15 for girls), with spouses who sometimes have age differences of up to 20 years. "In addition, there is a punitive policy towards members of the community that includes the separation of children from their parents—even in infancy—and the transfer of children to be raised in another family; preventing formal education and isolation from the outside world and all external sources of information; intimidation and threats; exiling minors from the community who are disobedient to the community's authority and its leaders and emissaries alone are able to get by in the world; allegations of unique clothing; frequent migration from place to place, leaving overnight without any preparation, all in accordance with the decisions of the head of the community. "Finally, it was proven that when the minors leave the community, they suffer from severe psychiatric problems for many years." In Israel, it is estimated that the sect has between 50 and 60 families, including among them between 150 and 200 children. The cult wanders around the world and made headlines after a Quebec juvenile court ruled that some children should be removed from their parents' custody. The sect then moved to another province in Canada and then to Guatemala, where it settled in an isolated place in the jungle. 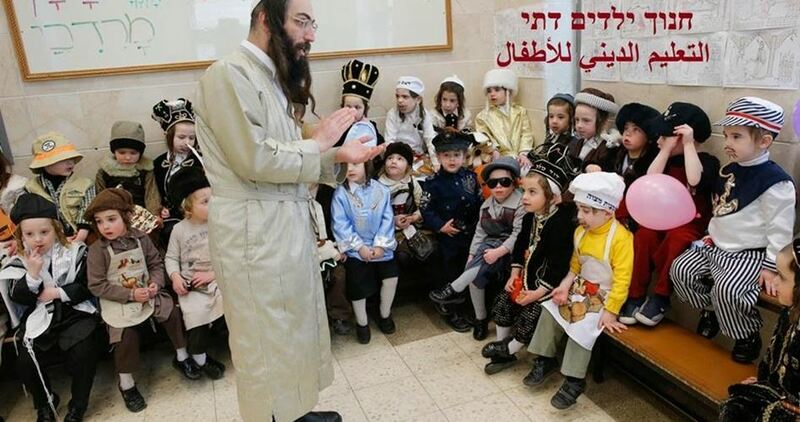 The attorney general asked the court to declare the children of ultra-Orthodox who want to join the sect as at-risk. A court order preventing the children's being removed from Israel, but their parents disappeared with them before the legal proceedings were finalized, and they apparently live today in the jungle. Therefore, the ruling was given today in the presence of one party only. Despite this, the judge explained that the court's decision is important in helping to prevent other families from joining the cult and to use the full resources of the state to try to return the children of the community. The FIFA committee charged with examining the Israeli-Palestinian issue has recommended that the international body give Israel a period of six months to discontinue matches in illegal West Bank settlements before making a decision about a possible Israeli suspension from the soccer organization, Haaretz reported on Sunday. A draft of the report, seen by Haaretz, reportedly recommends that if Israeli teams continue to play in the occupied West Bank, FIFA should take a decision about whether the teams or the country should be suspended. On Thursday, Haaretz reported that the Israeli government is increasingly worried that soccer teams based in settlements in the occupied West Bank will face suspension from the international federation governing the sport. With the FIFA Congress due to meet in May, Israel sent a cable to dozens of ambassadors on Tuesday, instructing them to liaise with officials from their host countries as part of an effort to stave off any potential move. An official told Haaretz that the efforts began after Israel learned that the Palestinian Football Association had sent a request that the question of the eligibility of teams based in settlements be placed on the agenda for both the FIFA Council and the FIFA Congress. In October 2016, the Palestine Football Association called on FIFA to either expel the six clubs in settlements, or relocate them to within Israel’s Green Line. However, the world's football governing body postponed making a decision on the issue. More than 100 sports associations, trade s, human rights organizations and faith based groups from 28 countries joined football champions, scholars, film directors, politicians and government officials in calling on FIFA’s Council members to insist that Israel’s national football league revoke the affiliation of seven clubs based in illegal Israeli settlements on occupied Palestinian territory, or face suspension from FIFA. The signatories, according to WAFA, delivered their letter to FIFA Council members ahead of FIFA’s upcoming 67th Congress on May 10-11. They include former UN Special Rapporteur Richard Falk, former Brazilian Minister for Human Rights Paulo Sérgio Pinheiro, South African Communist Party Central Committee Member and Minister of Sports & Recreation Thulas Nxesi (signed in his personal capacity), renowned British filmmakers Ken Loach and Paul Laverty, former Peruvian football champion Juan Carlos Oblitas Saba and former athlete and President of Peru’s Congress Daniel Fernando Abugattás Majluf, and the Brazilian trade CUT with over 7.4 million members. 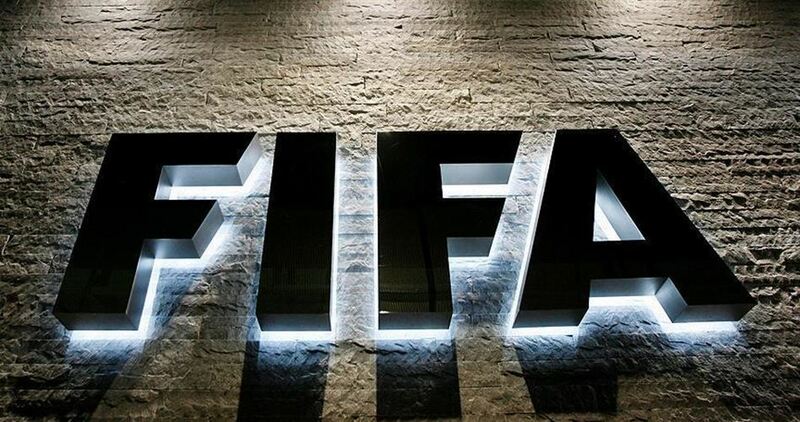 The letter criticizes FIFA for repeated delays and selective enforcement of its own rules which prohibit any member federation from holding matches on the territory of another without the latter’s approval. The Israeli national league is clearly violating FIFA’s own rules by holding matches in occupied Palestinian territory against the wishes of the Palestinian federation. For some unknown reason, the Congress’ agenda does not include the report from FIFA’s own Monitoring Committee, which was established in 2015 to find a solution. 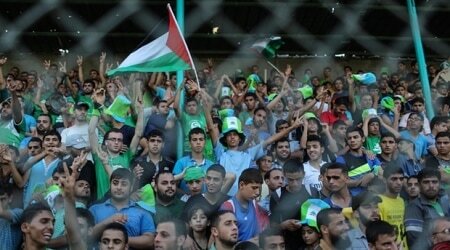 However, the Palestinian Football Association has tabled its own motion. The letter exposes FIFA for running afoul of its own recent commitment to respect and promote internationally recognized human rights. Israel is blackmailing impoverished countries to obtain votes in its favour at the UN, the Coalition for Accountability and Integrity AMAN revealed on Sunday. AMAN’s Director, Azmi Shuaibi, said that Israel uses the funds allocated to the UN to buy votes in favour of or against proposals criticizing its violence and oppression against the Palestinian people. “During the last three years, the organisation monitored violations carried out by the Israeli foreign ministry,” Shuaibi said, according to Days of Palestine. Among these violations, he said, was “putting pressure on the Nigerian government in order to refrain from voting for a resolution that proposed a timetable for ending the Israeli occupation of the Palestinian lands.” The draft resolution was proposed on 31 December 2015. 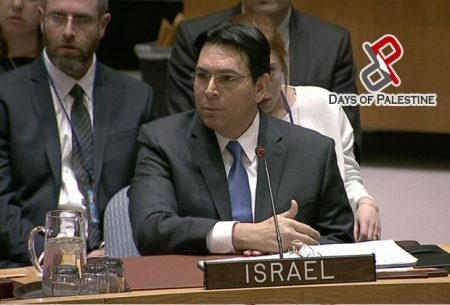 “Based on the observations of his organization, there are several transparency-related doubts regarding the Israel heading of the Legal Committee at the UN; a position it has been chairing since June last year,” he said. Shuaibi reiterated that the funds had been used to “put pressure and blackmail” developing countries in order to get their votes. On March 30, Israel cut $2 million of its UN funding. This came after the January cut of $6 million which followed the UN Human Rights Council adopting four resolutions against Israeli human rights violations. The Israeli foreign ministry claimed that this was in an effort to correct the “discrimination” which the UN practices against it. The Coalition for Accountability and Integrity (AMAN) is affiliated to Transparency International. A rocket fired from Egypt’s Sinai Peninsula, late Monday morning, landed in southern Israel, the Israeli army said. 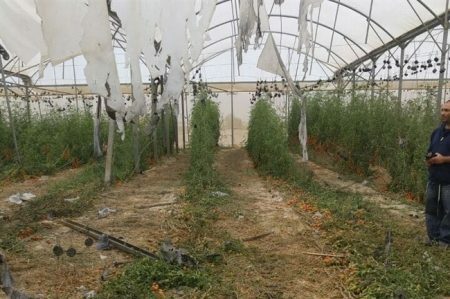 An Israeli army spokesperson told Ma’an News Agency that a “projectile” hit a greenhouse in the Eshkol regional council, causing no injuries. A police spokesman said that bomb disposal experts had searched the area and that police units were at the scene. The rocket was fired shortly after the Israeli government announced that it was closing the Taba border crossing, between Israel and Egypt, over information warning of possible attacks targeting Israelis. In February, two rockets launched from the Sinai Peninsula hit an open area in Eshkol, similarly causing no injuries. Earlier this year, the Israeli government warned its citizens of possible “terrorist attacks” in Egypt’s Sinai Peninsula. The Sinai Peninsula has been the site of ongoing violence between Egyptian forces and armed militant groups, which has increased since Egyptian President Abd al-Fattah al-Sisi took power from Muhammad Morsi of the Muslim Brotherhood, in 2013.